Explore. Enjoy. Indulge. As the weather warms, the Taiwanese Cultural Society is excited to announce the seventeenth annual Stanford Night Market. Take a break to see performances from various student groups and savor the food from all around Asia, from milk tea to bánh mì. Each year, Night Market brings together the Stanford and Bay Area community to celebrate diverse cultures through delicious food and fun performances. Partnering with many student groups across Stanford and local vendors from the South Bay. The event is family and pet friendly. 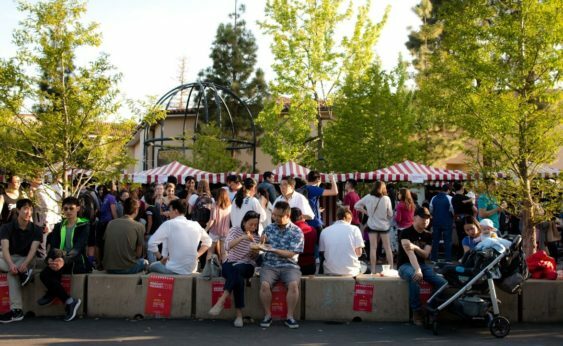 Night Market offers a unique opportunity to showcase a variety of Stanford student performing groups, including martial arts, k-pop dance, acapella, and many more! Come see live outdoor performances from some of the most talented student performers at Stanford. Bringing a taste of cultural street food and cuisines from around the world to Night Market since 2001. Partnered with local restaurants and businesses to bring delicious food to the event. Join for a taste of Taiwanese street foods as well as signature dishes from Vietnam, Japan, China, and many more regions.